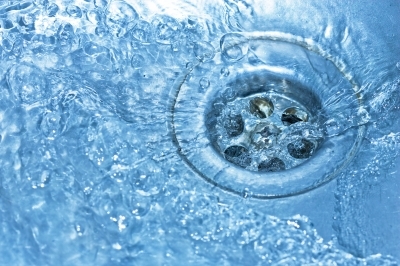 Taking on Plumbing Tasks: When Is It Best to Call a Plumber? Many homeowners do not realize that plumbing systems are a lot more challenging to work with than some of the other tasks around the home. While you likely know how important it is to make sure the water is not running before using tools to remove pipes or open them up, you may not have the extra experience or knowledge that a plumber would have. Those who work in the plumbing industry have received training and completed a series of exams before they became certified. There are times when you may quickly solve a plumbing problem in your home. After all, there are often simple solutions to some of the minor problems homeowners deal with, such as a leaky faucet or a clogged drain. However, it is best to leave the complicated stuff to the experts, otherwise you could end up causing some serious damage to your plumbing system and your home. If you make the wrong move, a pipe could burst and leak water all over, causing a ton of water damage. If you are not sure whether you should try to fix the problem yourself or contact a professional, there are a few things to think about ahead of time. For example, if you are doing work in the bathroom, how will everyone use it when they need to go? If you have a spare bathroom, it is probably not a big deal to spend the entire day working in the other one. Without a spare bathroom, it is a bit tricky because you do not want to make a mistake that would prevent your family from using the bathroom inside the home. Do you have homeowner’s insurance? If so, now is a good time to pull the policy out and review it before you start trying to do any plumbing work on your own. If you make a mistake and some damage occurs, the insurance company might not cover that expense. As a result, you would have to spend money fixing any damaged items instead of having that expense covered by the insurance company. You should find out how long it takes to fix the type of plumbing problem you have inside your home. If you have no idea how long it would take, you can contact a plumbing company and ask them a few questions. They could tell you that it will only take them an hour or two. However, if it is a big job, they may give you an estimate of several hours. If the task is going to take several hours, you need to ask yourself if it is really worth doing on your own. The plumber gets paid for all those hours he or she is dedicating to fixing your system, but that is a lot of time to waste when you are not getting paid. It is even worse if you have to call out of your real job because you want to devote the day to getting the task completed. If you have a lot of time to spend on the task and you think it is something you can handle, you can give it a try. However, if you know you do not have the skills or patience to complete the plumbing project, you can benefit from getting in touch with a professional.